We're hoping to be moving soon, so I'm trying to clean out the freezer. Turns out there were bananas in there! I found five. That was exactly as much as I needed to make banana bread! Perfect. 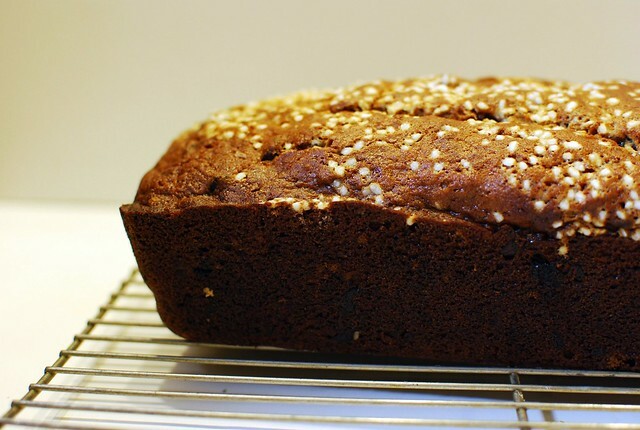 This is a gluten free, edited version of Joy the Baker's pb banana bread. Alex is newly in love with peanut butter (after years of claiming he hates it), so I wanted to see if he could handle peanut butter and bananas together. Then I added in some chocolate chips. Then I sprinkled some pearl sugar on top because I just bought some. Preheat oven to 350, and grease a loaf pan. Stir together the bananas, buttermilk, peanut butter, butter, and eggs. In another bowl, whisk together the sugars, flour mix, baking soda, xanthan gum, salt and cinnamon. 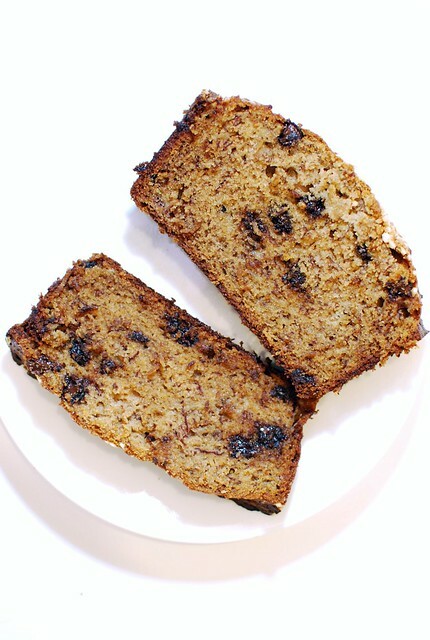 Stir the wet ingredients into the dry ingredients, then fold in the chocolate chips and scrape into the loaf pan. Sprinkle with pearl sugar, and bake an hour. Cool in the pan. Wait until the loaf is cool to slice it! 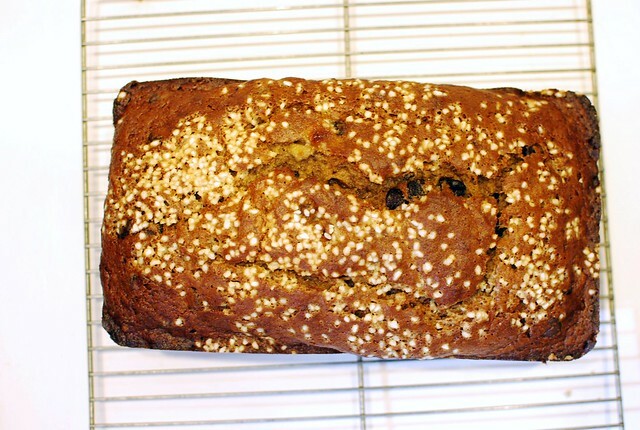 This is a delicious recipe, I remember when my grand mother made this recipe, actually when I see this blog it made me remind my grandmother, this is perfect because I'm thinking on prepare this recipe tomorrow.